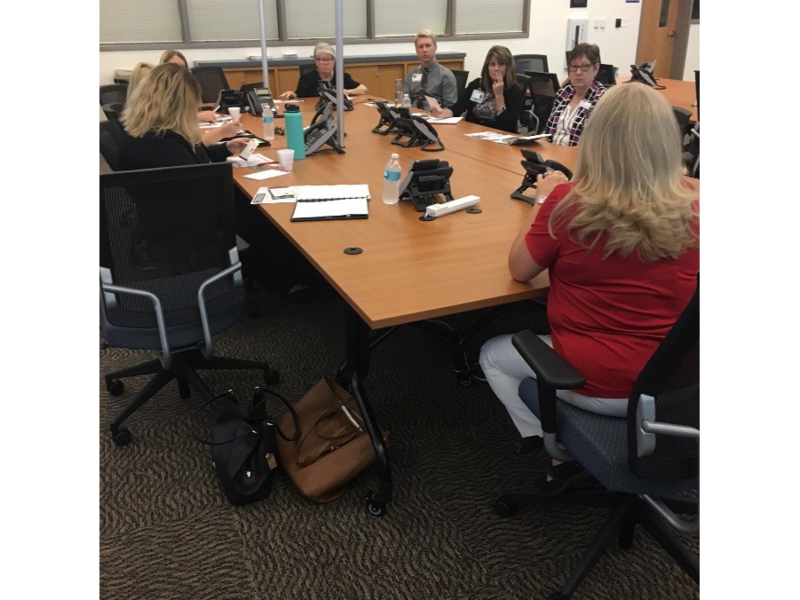 We believe that the provision of patient services in Polk County can be improved through a forum for consultation and problem solving among nurse leaders. We believe that nursing, as a highly visible profession, must retain a caring image and that we as nurse leaders, must serve as a unified and positive force to improve nursing practice and the levels of care in our community. Provide opportunities for communication among members. Serve as a resource to community leaders in areas related to both health care and social concerns. Promote awareness among members related to health care issues. Provide a forum for educational opportunities and development. Participate in activities which will enhance the image of nursing and improve recruitment and retention of nurses. The roster of 2018 PCONE Officers is located in the Members Only Document Library. Use the Contact Us tab to contact PCONE. Visit us on our Facebook website for more information and updates. 1890 Jim Keene Boulevard, Winter Haven, FL. 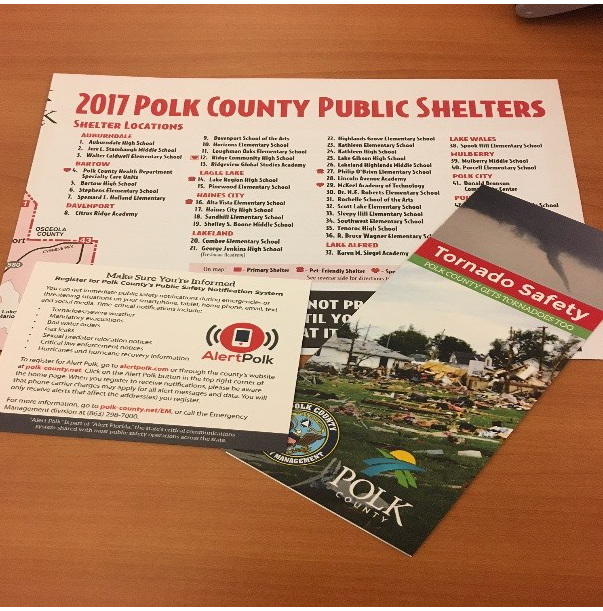 A meeting of the Polk County Organization of Nurse Executives was held on Wednesday, July 19, 2017 at the Polk County Operations Center hosted by Diane Hilliard. 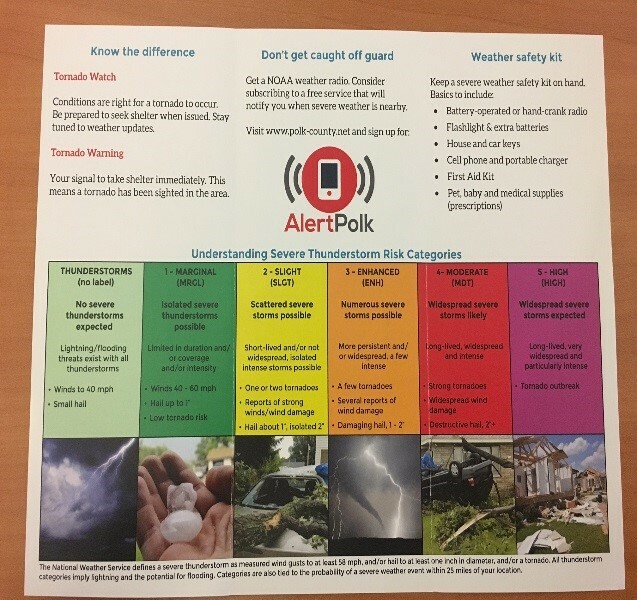 The attendees learned a great deal of information from Emergency Management professionals on how to prepare yourself & families for an emergency event and the potential impact of such events on healthcare facilities in our community. 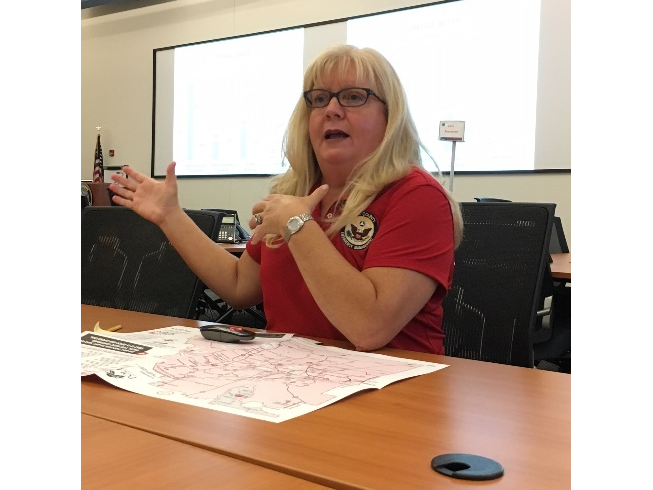 We had no idea how useful that information and awareness would become until Irma arrived on 9-10-17. The name of the organization is the Polk County Organization of Nurse Executives, Inc, hereinafter referred to as PCONE. 2.1 We believe that the provision of patient services in Polk County can be improved through a forum for consultation and problem solving among nursing leadership. 2.2 We believe that nursing, as a highly visible profession, must retain a caring image and that we as nursing leaders, can serve as a unified and positive force to improve nursing practice and the levels of care in our community. 2.3 Provide opportunities for communication among members. 2.4 Serve as a resource to community leaders in areas related to both health care and social concerns. 2.5 Promote awareness among members related to health care issues. 2.6 Provide a forum for educational opportunities and development. 2.7 Participate in activities which will enhance the image of nursing and improve recruitment and retention of nurses. 2.8 The Board of Directors shall be seated annually preceding the fall meeting of the Florida Organization of Nurse Executives, Inc. hereinafter referred to as FONE. The PCONE Board of Directors will develop goals and objectives that are congruent with FONE goals and objectives and present them to the membership for approval at the next meeting of the members. Full membership is limited to professional nurses currently licensed by, or whose licensure is pending in, the State of Florida or if employed within a Veteran’s Administration or Armed Services Hospital, currently licensed in any state. To be a member of PCONE the nurse must be a member of FONE. and must reside in Polk County, Florida, or be employed by a Polk County health-related facility. 1. Full Members of PCONE shall be Registered Nurse leaders or aspiring leaders. This includes those RN’s who hold an organizational role of administration/management who are accountable for strategic, operational and/or performance outcomes in sites where health care is delivered; faculty in graduate and undergraduate nursing programs, including deans working in professional associations, and directors; consultants in nursing administration and management practice; persons, regulatory agencies and/or accrediting health care organizations; and retired full members and editors of professional nursing journals. 2. Full Members shall have the right to hold any elected position, serve on committees, vote on organizational issues, vote on proposed amendments to the PCONE by-laws and regulations, and elect the Board of Directors. 1. Student members of the FONE shall be full time nursing students in associate degree, diploma, baccalaureate, generic masters, and generic doctoral programs preparing students for registered nurse licensure. Individuals eligible for full membership in FONE may not be granted Student Membership. 2. Student members may attend PCONE business and educational meetings and serve on committees, but will not be considered full members, not permitted to vote in meetings of, or hold office in, or vote for officers of PCONE. 1. Honorary membership will be granted to past presidents of FONE and PCONE and past Directors of PCONE, regardless of their current work positions, if not eligible for full membership; former active FONE members who have retired from nursing; and distinguished members of the nursing profession, with the approval of the PCONE board. 2. Honorary members may attend PCONE business and educational meetings, serve on committees, but will not be considered full members, not permitted to vote in meetings of, or hold office in, or vote for officers of, PCONE. The Board of Directors is responsible for the management of the business and property of the corporation and charged with the duty of carrying out the purposes and objectives of the corporation. The Board is responsible for electing the officers of the organization. A Board member may serve as an officer. Any active dues-paying full member of the organization is considered in good standing and eligible to run for membership on the Board. The members of the Board of Directors shall be elected by majority vote of the membership returning mailed or emailed ballots no later than the month preceding the annual meeting of the members. Results of the election will be announced at the annual meeting of the members with the term of service commencing at the close of the annual meeting. The Board of Directors shall, by two-thirds vote, have a right to remove any director who has failed to fulfill the expected responsibilities. Absence from two consecutive meetings, without justifiable cause, is considered failure to fulfill responsibilities. A vacancy on the Board shall be filled by a member in good standing elected by majority vote during the next regular meeting. Officers of the organization shall be elected by the Board of Directors at the annual meeting of the Board. All officers shall be members of the Board of Directors. Any two or more positions may be held by the same person. Officers shall serve for two years and may be re-elected for subsequent terms. Officers will serve staggering terms with the President, Vice-President, and Recognition Committee Chair elected in even years and the Secretary, Treasurer, and Education Committee Chair elected in odd years. In the event of a vacancy of the officers, the Board of Directors shall elect a replacement to fulfill the remainder of the term. 5.1 President: The President shall be responsible for calling and presiding over meetings, preparing the agenda, appointing Ad Hoc Committees/Task Forces, serving as the organization’s spokesperson and generally facilitating the work of the organization. The President of PCONE will serve on the Board of FONE. 5.2 Vice-President: The Vice-President shall be responsible for the strategic planning, legislative liaison, and shall represent the President in his/her absence. The Vice-President shall also be considered the President-Elect. 5.3 Secretary: The Secretary shall be responsible for notifying members of meetings, taking minutes at each meeting and assuring that they are available to the membership prior to the next meeting, receiving a roster of members in good standing from the Treasurer and distributing a membership directory to all members each year at the end of the annual meeting. The Secretary will also maintain a record of all material produced by the organization. 5.4 Treasurer: The Treasurer will maintain a record of the financial activities of the group, including membership roster, properly record and deposit revenues and pay all bills. In addition the Treasurer shall be responsible for developing a budget for each year based on the yearly goals and objectives of the organization. The Board of Directors will present the budget for approval at the annual membership meeting. A summary of all financial transactions shall be presented at each meeting and an annual report will be given at the annual meeting. 5.5 Past-President: The Past-President shall be designated as Chair of the Nomination Committee and By-Laws Committee. 6.1 The Board of Directors may designate committees to aid and assist in the management of the affairs of PCONE. Committee Chairpersons are expected to participate as voting members of the Board. Recommendations made by a committee shall be considered advisory unless approved and adopted by the PCONE membership. 6.2 Education and Research Committee: The Education Chairperson will chair a committee of members to organize a continuing education program for nurse managers in Polk County and manage the scholarship application/distribution process as specified in the Strategic Plan and Goals for the year. The Education Chairperson-Elect will be identified each year to provide continuity for the succeeding year’s activities and also serve as a non-voting member of the Board of Directors. The Education Chair will be responsible for updating the board of director’s orientation plans. 6.3 Nursing Excellence Recognition Committee: The Nursing Excellence Recognition Committee Chairperson will chair a committee of members and volunteers from other nursing organizations in Polk County to organize event(s) to recognize excellence in nursing by registered nurses and/or licensed practical nurses who practice in Polk County. The committee will plan and coordinate all activities related to such event(s), including selection of those to be recognized for excellence in nursing at the event(s). The Nursing Excellence Recognition Chairperson-Elect will be identified each year to provide continuity for the succeeding year’s event(s) and also serve as a non-voting member of the Board of Directors. The Nursing Excellence Recognition Chairperson or Chair elect will be responsible for updating the Board of Directors and membership at large on the status of the event(s). 6.4 Bylaws Committee: The By-Laws Chairperson will chair a committee of members to review the bylaws on an annual basis and prepare updates as needed for presentation to the membership. 6.5 Nominating Committee: The Nominating Chairperson will chair a committee of members to present a slate of candidates for Board of Directors to the membership prior to Fall election. The election ballot will allow for write-in candidates. The Nominating Chairperson will appoint two members of the Nominating Committee, who are not nominees, to count the ballots. Ballots may be submitted electronically, by postal service, in person or through an internet Survey source. The Board of Directors may appoint ad-hoc committees as needed to aid and assist in the management of the affairs of the organization. These committees will continue to function without a term limit for the duration of the assignment with members added or removed as needed. 7.0 Meetings of the Directors and membership will be held every other month with the proposed schedule (including dates, times and sites) for the upcoming year determined at the first meeting of the PCONE following the fall meeting of FONE. 7.1 The monthly meeting immediately preceding the Fall meeting of FONE shall be designated as the annual meeting of PCONE. 7.2 An Executive Committee meeting will be held in the month preceding each general membership meeting. An Executive Committee meeting to include the outgoing and incoming new board members will be held following the annual meeting to provide orientation, expectations, and to set goals for the new year, in accordance with PCONE’s mission statement. 7.3 A quorum shall exist of 15% of the eligible voting members in good standing. (The quorum must include at least two officers). 7.4 Members are to be encouraged to bring guests to meetings. Guests will be introduced at the start of each meeting before any business is conducted. 7.5 Only full members are allowed to vote on items presented at the meeting for referral to the Board of Directors. 8.0 Proposed amendments to the Bylaws shall be presented to the full members for consideration and approval at least 15 days preceding the meeting at which they will be discussed and voted upon by the Board of Directors. 8.1 Thereafter the by-laws may be amended by a two-thirds vote of the Directors present at a meeting of the Board of Directors at which a quorum is present.